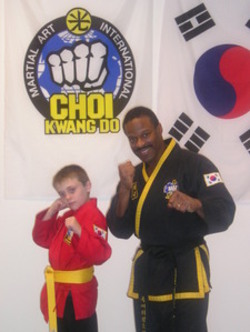 Hi guys, This weekend I'm taking my son (the 9-yr-old in picture on right) to the Choi Kwang Do Maritial Art 20-year Anniverary Seminar/Festival at the Cobb Galleria, in Atlanta GA. If you want you can checkout his school's website that I developed using Typepad. I'd love to exchange links with you. Cheers!